Item is part of the Cassiar Asbestos Corporation Ltd. fonds. Image is one of 20, see items 2000.1.1.3.19.78 - 2000.1.1.3.19.97. 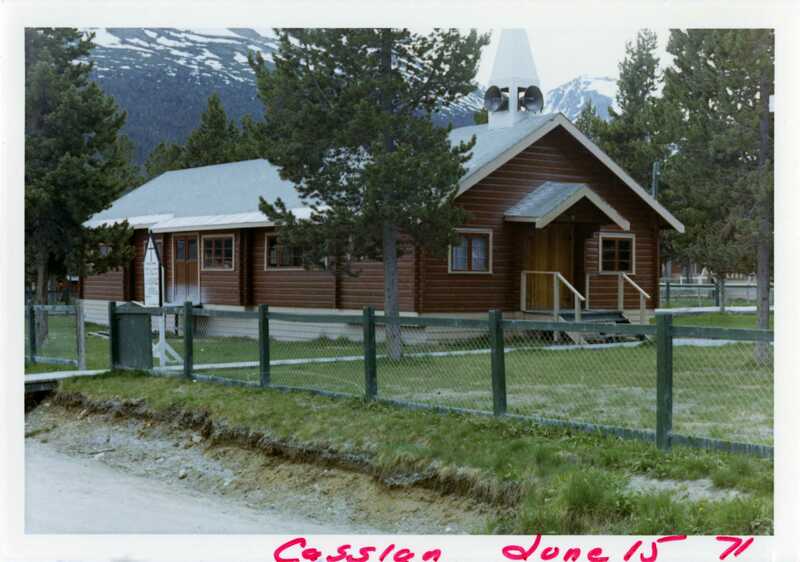 See also item 2000.1.1.3.19.51 for image featuring Anglican church ca. 1965. Stamped annotation on recto of photograph: "FF510".